1 February 2018 Unlocked content from the archive. Penni Russon’s new middle-grade novel centres on the rowdy but lovable Outhwaite family. When they inherit an old mansion on the other side of the world, otherworldly encounters ensue. The story is told in short chapters with varying points of view, and all five of the Outhwaite siblings take turns at narrating, as well as resident ghosts Almost Annie and Hardly Alice. Each character is charming in their own way, though the inquisitive nature of youngest child, Sibbi, is particularly endearing. The plot is well balanced between the ghostly storyline and a thoughtful exploration of family and belonging, and the result is a book that is sure to be loved. Although intended for children aged 10 to 14, The Endsister would more likely appeal to advanced readers in that bracket, considering the elegant prose and somewhat vintage feel of the narrative. Adult readers will enjoy the playful references that pop up unexpectedly, including a nod to Kevin from Grand Designs. Clever and quaint, the novel’s suspense is well sustained until the final pages where the story expertly unravels. It falls slightly short of being widely accessible, but there is certainly an audience for this type of family-driven tale with an eerie edge. 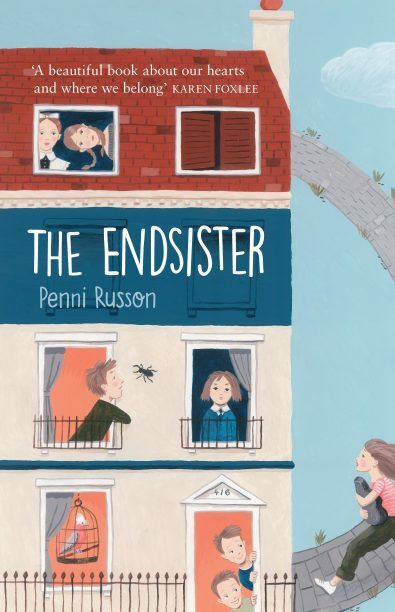 The Endsister is perfect for those seeking a witty and heart-warming ghost story.